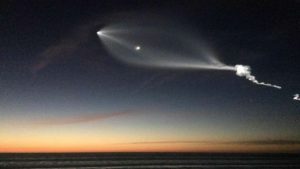 The early evening launch of a SpaceX rocket from Vandenberg Air Force Base near Santa Barbara lit up the sky over Southern California on Friday. The Falcon 9 rocket lifted off at 5:27 p.m. on a trajectory that took it south along the U.S. and Mexico coasts carrying 10 satellites for the Iridium mobile communications network. Numerous posts on Twitter showed the rocket’s progress as it flew south, and the sight startled many. The San Diego Police Department reported numerous calls. “WOW!!! The view from LA is amazing!!!! People are going to freak out,” said one person on Twitter. 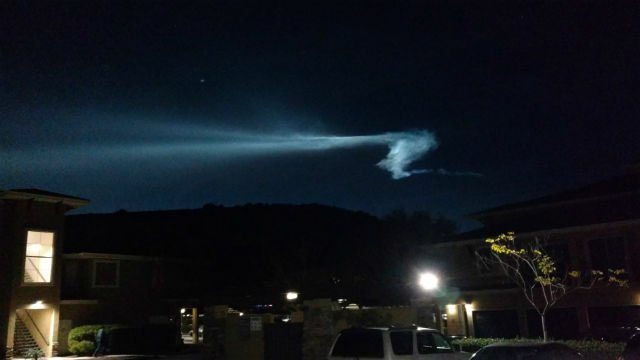 “CAN SOMEONE EXPLAIN WHAT THIS IS IN THE SKY #ALIENS,” tweeted another. At 5:38 p.m., SpaceX reported that the second stage and its cargo of 10 satellites was coasting before a scheduled restart of the engine to deploy the satellites into their final orbits. At 6:59 p.m., all satellites had been deployed and Iridium confirmed they were in communication and operating normally. 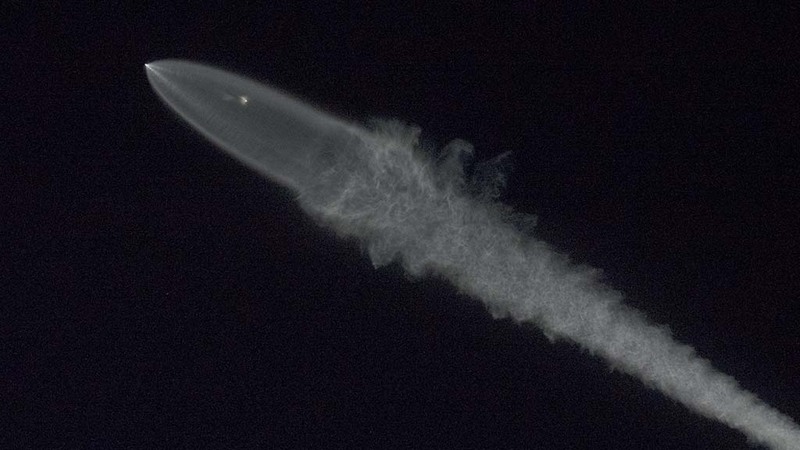 SpaceX described the launch as flawless, and noted that there was only a one-second launch window because of the complex orbits required for the satellites. The 10 satellites are part of Iridium’s NEXT system, which will ultimately include 81 satellites. Friday’s launch was the fourth set of 10 launched by SpaceX, which is scheduled to launch 75 of the total. The Iridium network supports satellite phones that can be used anywhere in the world. According to SpaceX, the satellite array will also include the Aireon aircraft tracking and surveillance system. “In a historic first, upon completion this system will provide air traffic control organizations and aircraft operators that purchase the service with real-time, global visibility of ADS-B equipped aircraft,” SpaceX said.